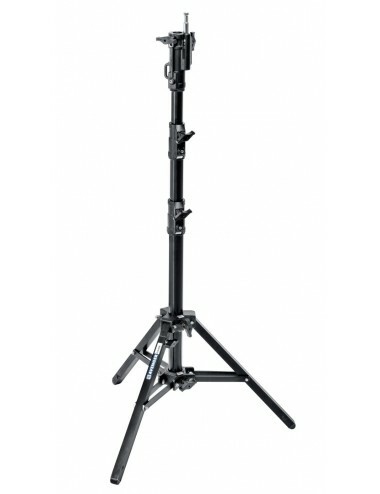 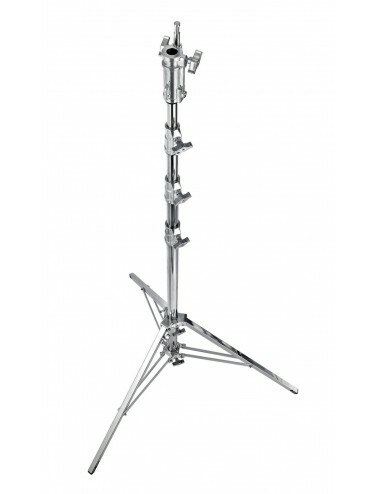 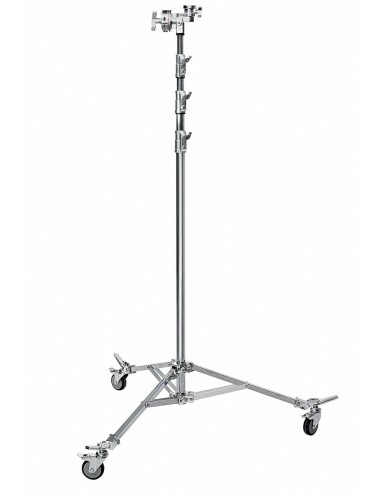 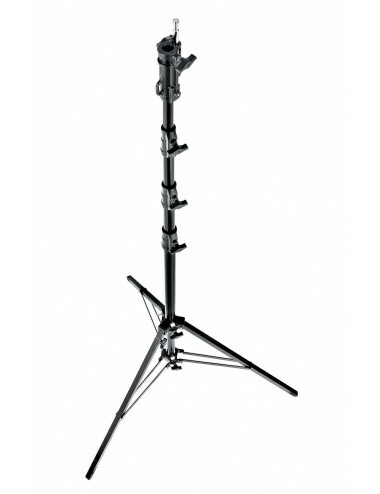 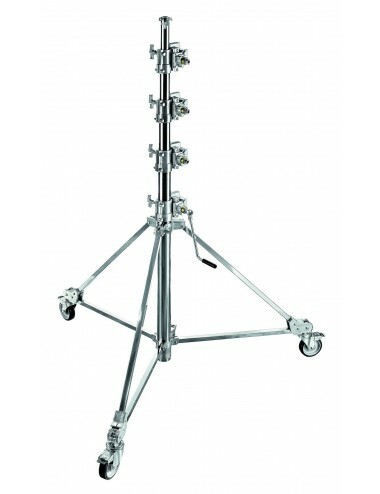 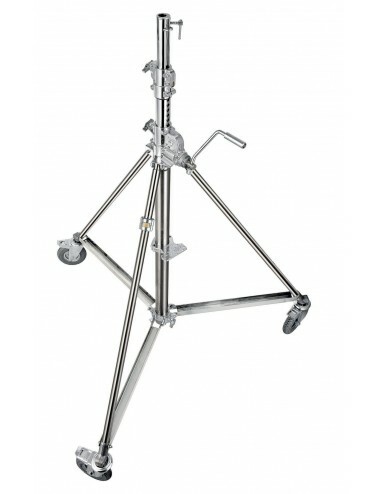 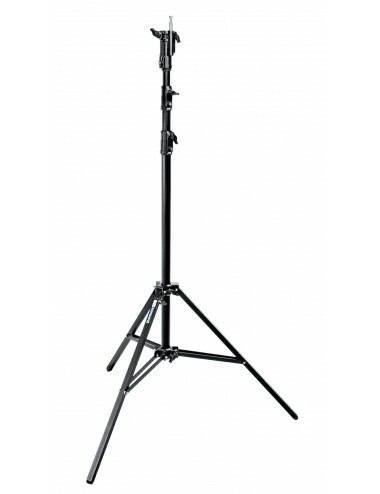 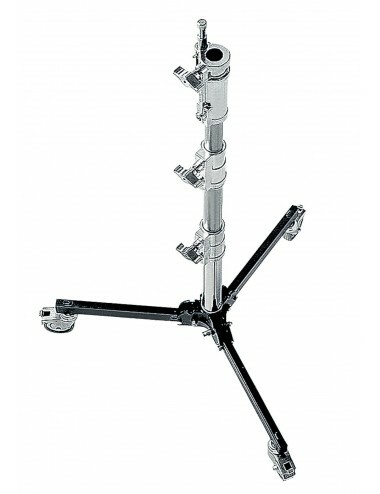 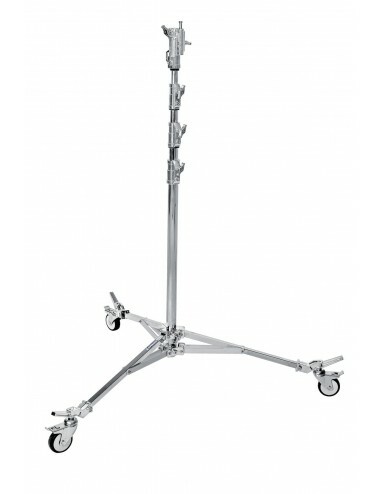 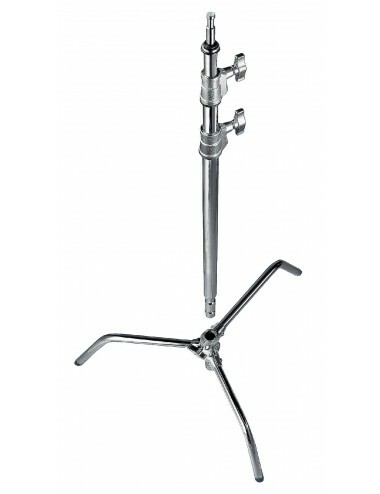 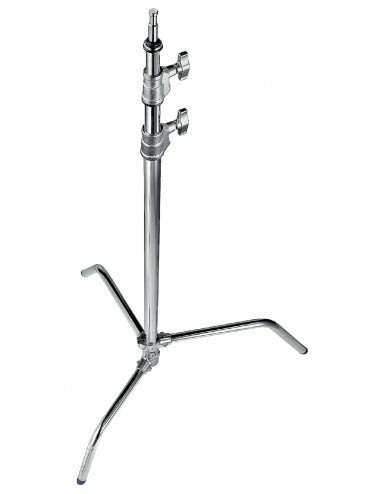 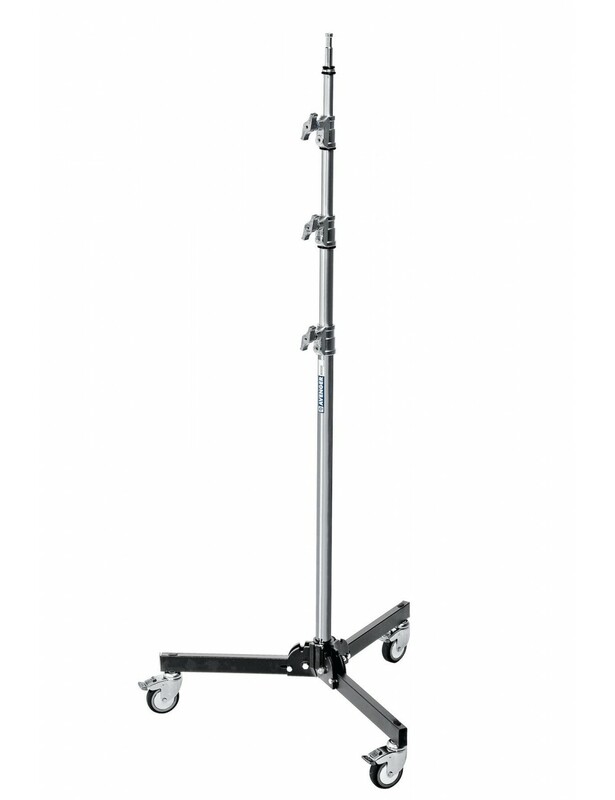 This Avenger roller stand with 4 sections and 3 risers features steel legs and column, and risers in aluminium. 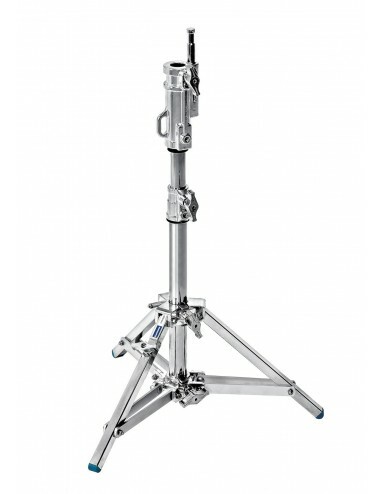 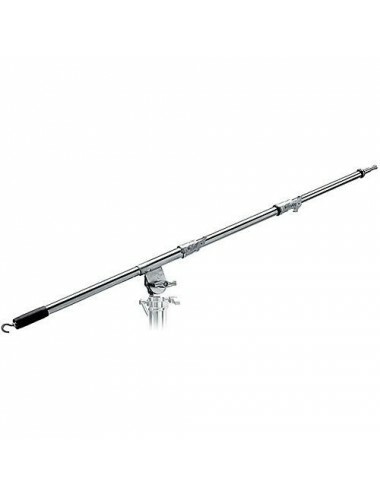 It can support a payload up to 12kg and it can reach a maximum height of 3.30m. 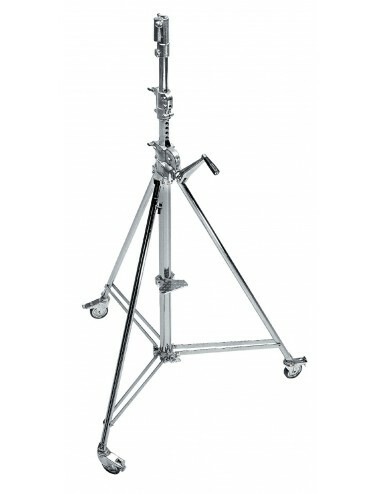 It features wheels for easy transportation and its legs fold up for better storage.